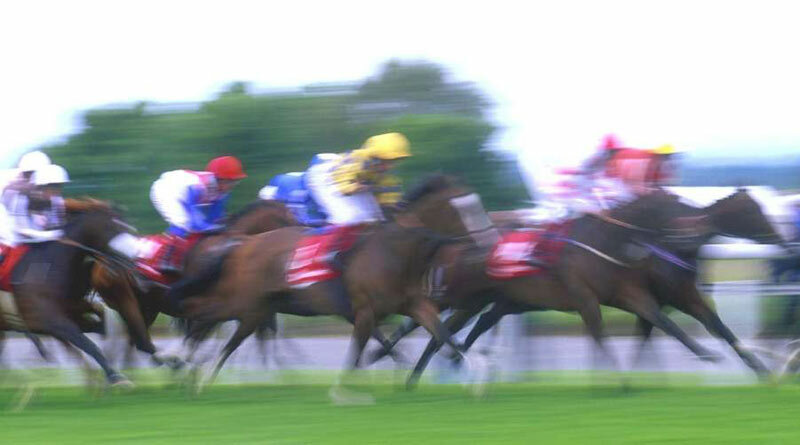 The use of thyroid supplements in racehorses can cause cardiac arrhythmia, a study has found. Trainers who add thyroid supplements to fit horses are likely doing more harm than good and may also cause cardiac arrhythmia. US researchers looking at supplementation of Thyroxine — one of two hormones released by the thyroid gland — have learned it is being given to racehorses who are “flat or less spirited” to perk them up. In humans, Thyroxine is prescribed for an underactive thyroid. Horses that benefit from thyroid hormone supplement tend to be suffering from Equine Metabolic Syndrome (EMS) or insulin resistance. Neither syndrome is recognized in fit racehorses and they are rare in other performance animals. But Thyroxine supplementation may have a place in treating some over-conditioned (obese) horses at risk for laminitis, said Dr Janice E. Kritchevsky, of Indiana’s Purdue University College of Veterinary Medicine. Kritchevsky led the study for the Equine Guelph Research Committee with support from the Ontario racing commission (now AGCO). The research was undertaken in response to reports of open containers of thyroxine supplement seen during barn visits as part of out-of-competition testing by the AGCO. Elevated blood concentration of thyroxine has been documented on numerous occasions on post-race blood testing of horses from Ontario tracks. The misconception over thyroxine supplement use among horse owners and trainers may stem from the initial reaction to the drug, which can cause a flat or less spirited horse to appear more alert and hypersensitive. In Kritchevsky’s study using fit standardbreds, they did find a behaviour change after administration of the thyroid supplement Levothyroxine. The horses became quite alert and more difficult to handle, but then they fatigued quicker. Giving the horses Levothyroxine resulted in changes to blood concentrations of all thyroid hormones. Horses given 0.25mg/kg Levothyroxine went to maximum heart rate quicker, but the horse’s blood lactate concentration did not change post-exercise, which told the researchers that they had the same level of fitness. The drug was not found to be performance enhancing. In fact, four out of the six horses in the study developed cardiac arrhythmia (irregular heart beat) when treated with Levothyroxine and one developed atrial fibrillation. Atrial fibrillation is a serious performance limiting condition that can be career ending. “This is an important problem anywhere. People are using thyroid supplement and it does not do what they think it is doing. This research is important for all, including racing commissions. While thyroxine is not a foreign substance, as this study indicates, high levels render the horse unfit to race,” Kritchevsky said. Kritchevsky noted that to diagnose a thyroid disorder, a one-time blood test was not enough, and a function test must be conducted. In a function test, two thyroid hormones are measured in the blood, then the horse is given a releasing hormone, and the two hormones are measured again. If the thyroid hormone concentrations do not respond normally, then there may be a true thyroid disorder. “Thyroid disorders are actually rare in horses,” Kritchevsky said. The concentrations of thyroid hormones, including thyroxine, can be measured in blood. Blood thyroid hormone concentrations outside the normal ranges can lead to the belief that hypothyroidism (low production of thyroid hormones) may be the cause of a horse looking a little lethargic. However, abnormal thyroid hormone concentrations can occur after a high grain diet meal, after trailering fatigue, training stress, or if a horse is ill. Administering thyroid medication to a horse fighting a respiratory infection can compromise the animal’s natural response to the infection, Kritchevsky said. “In the case of over conditioned horses, thyroxine supplementation is to be used only until the horse reaches a normal body weight,” Kritchevsky said.